If you’re not familiar with the general health benefits of the DASH diet, you are not alone. It is NOT one of those fad diets that comes and goes, or a quirky diet plan that is touted by celebrities. Quite simply, it is one of the soundest dietary regimens around, based on years of scientific research. But wait. What about people who are not concerned about their blood pressure? Is this diet now being promoted as being for everyone? In a nutshell, the answer is yes. The principles behind DASH can apply to almost anyone. Here’s some background to help you understand the benefits. Do these recommendations sound familiar? My guess is that they will be recognizable to anyone who is even a little bit focused on healthy eating. “While all the benefits of the DASH diet can result in an improvement in health, my main point in this blog is about sodium intake. Per the NHLBI, the DASH eating plan is much lower in sodium (salt) than the typical American diet. Unfortunately, many of us believe that by lowering sodium we are giving up tasty food, and that the lower sodium food will be bland. However, a great “secret” to still enjoying foods with less sodium is to replace part of the salt in favorite recipes with monosodium glutamate (MSG). 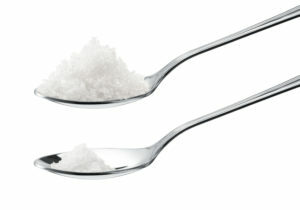 By way of comparison, MSG contains about 12 percent sodium while table salt contains 39 percent sodium. In fact, when MSG is used in combination with a small amount of table salt, it can reduce the total sodium in a recipe by 20 to 40 percent – while still maintaining the desired flavor. 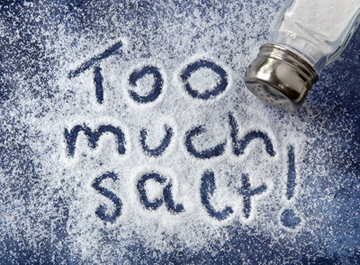 So if you decide to give the DASH diet/dietary lifestyle a try, don’t forget that a small amount of MSG may go a long way in helping reduce sodium intake while keeping foods appetizing. For some guidance on how a dash of MSG can enhance the flavor of healthy foods, here are some food preparation guidelines to follow.